Regular price $7.99. HALF PRICE NOW! 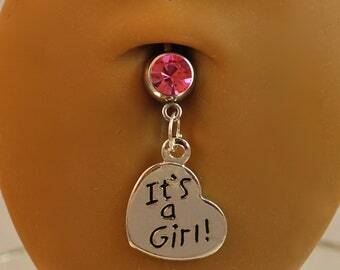 Keep you belly button ring during your pregnancy with a comfortable, super flexible PTFE belly button ring. The bar will bend and move with your body. The bar is 1 inch in length and can be cut and shortened, if needed, for the perfect fit during your pregnancy. Instructions on how to shorten your belly ring can be found in my shop policies section. Fast shipping!